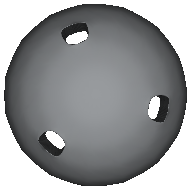 The following meshes are available for download and use. If you do end up using one, please include an appropriate acknowledgement. 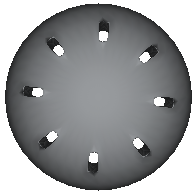 The meshes are sort-able by genus type. All of the meshes were made by me, except for the vase (Michael Kowalski) and the tree (Daniel Robbins). Mesh format. 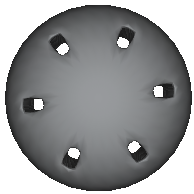 Some of the meshes also contain curvature files. Most of the surfaces here are generated from an analytical representation, so in this case we can generate the actual curvature value. Curvature format. All meshes and all curvature files. 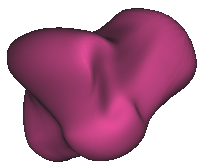 Nearest neighbor lists for several meshes, categorized by (expected) topology. 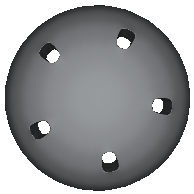 Stored as ply files containing the point locations and the neighborhood one-ring disks as consecutive lists of faces. Original meshes from the Stanford repository, the Shape AIM repository, and some hand-made. 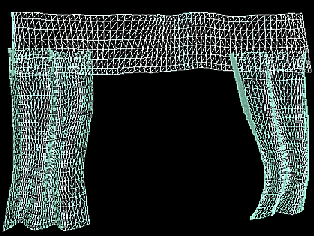 There are known connectivity problems with the camel mesh (front knees touch, tail touches at top and bottom), the bunnyMfld mesh (ears touch the wings), the bunnyMesh (points inside ears touch), the original dragon mesh (there's a hole in the back that reaches up from the bottom) and both knottyMesh and spiderwebMesh are a mess. Same as above, but all neighbors within the disk radius are included. Symmetric neighbor list. The original neighbor list is expanded to ensure that if a is a neighbor of b, then b is also a neighbor of a.
Symmetric and dense neighbor list.